A photograph is a two dimensional representation of a three dimensional moment in time. The first three dimensions are physical. X&Y are represented along the X&Y axis of the photograph. The Z axis is articulated through proportion and shading. A fourth dimension, time, is expressed through interaction between the viewer and the subject (photograph). The movement of the eye across the photo can impart a sense of time, or the fourth dimension. Eye movement can also be used to focus the viewer on a particular subject matter. In an opposite way, dissonance can be used to focus attention on a particular area. Photo 1 is a classic example of three dimensions being represented in two. 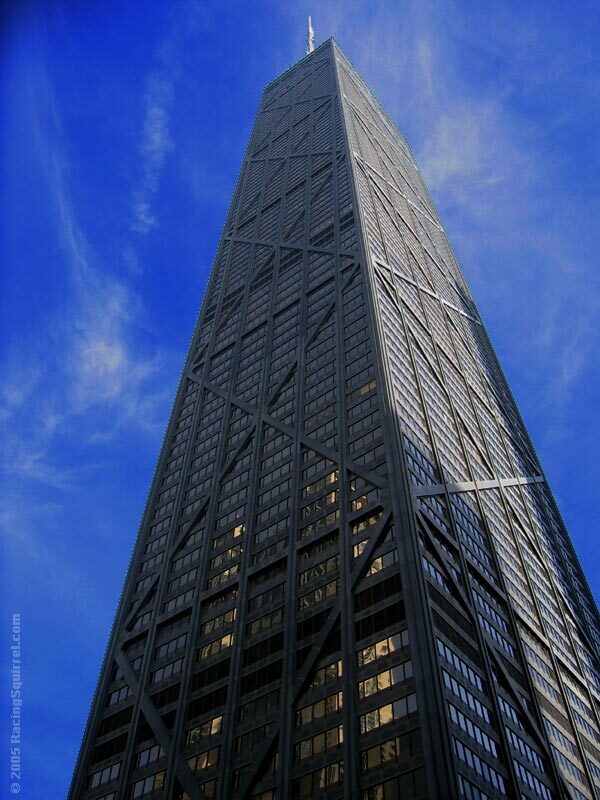 Perspective, proportion and shading are used to view the western and southern exposures of Chicago's John Hancock Tower. Photo 2 uses The Rule of Thirds is used to bracket the house at the center of the picture. However, notice how the eye is drawn along the lines of the still water and how a diagonal is used to hold attention. 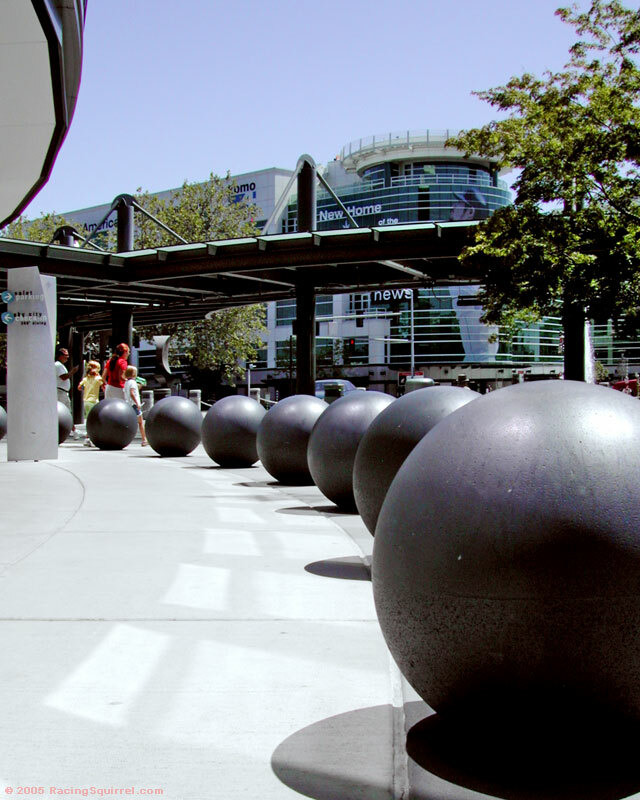 Photo 3 uses the line of balls and perspective to move the eye upwards and towards the people. Shading also plays a role here. The elevated monorail is a mirror image of the balls. Photo 4 shows a storm brewing over the San Francisco Bay Area. 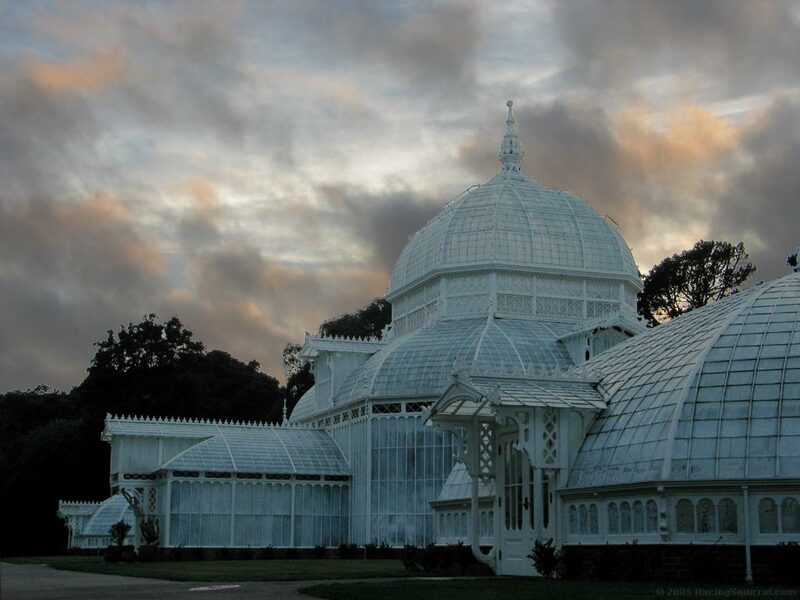 Colors, contrast and shadows outline the movement of clouds over a stationary arboreteum in Golden Gate Park. The first print is actually rather flat. So, we outlined the building, overlaid the background sky two additional f-stops for a greater depth and color. 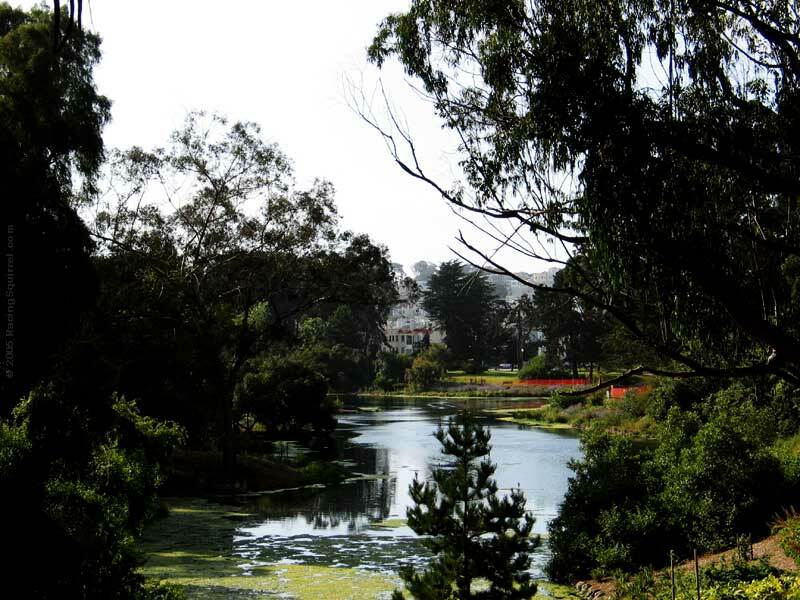 We also popped out the foreground with a transparent overlay layer. Photo 5 is a classic night time shot. The aperture is opened up to f8, and the shutter is left wide-open, in this case for 1/15th of a second. The high aperture provides depth of field: Everything is in focus. The longer 1/15th second shutter setting allows for the moving autos to be captured in a continuous movement. 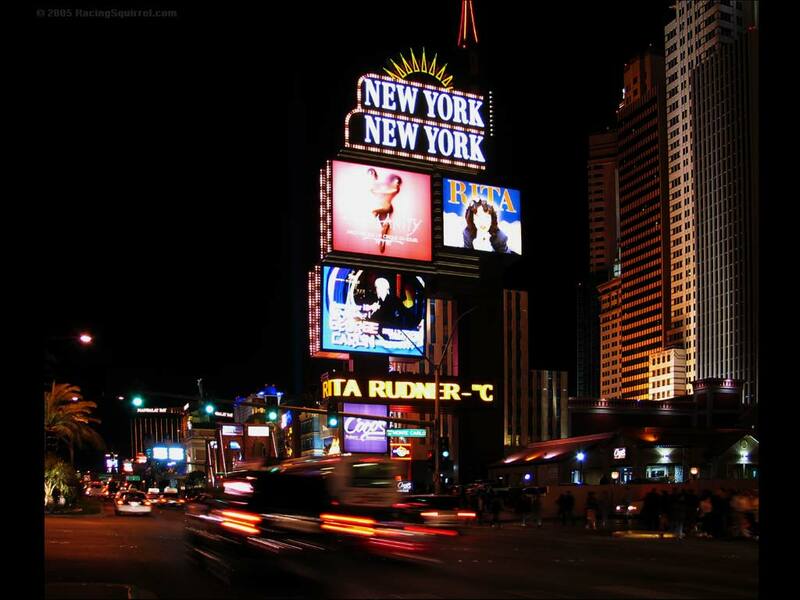 A tripod and Canon G5 were used for this shot, taken on the median of the Las Vegas Boulevard, The Strip. Compare this to the Photo 6. In this photo there is a short field of focus, where the subject is moving and blurry. The background is stationary and in focus. In 1/30th of a second, Tricia is moving her head from center to right. The lighting is incandescent with diffuse daylight from a distant plate window. To avoid using a fill flash, the aperture is set low, f2.8 and the shutter is slowed to the point at which most movement can be captured.